Funny how time changes things so much. Thirteen years ago on this day, I became a mother. It was my first born and I was as nervous as a long tailed cat in a room full of rocking chairs. I did not know how to hold my new born son and I had to call my mum or my aunt to even lift him. I was so afraid of not supporting his neck right (new born babies cannot hold up their neck and need to be supported and carried in a particular way) and he seemed so tiny (even though he weighed a healthy 3.25 kgs) and I was so scared of hurting him. Funny, how within a week I was able to even manage giving him a bath and how I learnt to even manage the cord stump. And then his first year. Oh how delightful it was! He was such a sweet, gorgeous baby. He started sleeping through the night at three months.I began reading books to him when he was three months old. He was such a joy and truly no trouble at all, that I even travelled without my husband, to Darjeeling and Gangtok when he was just five months old. (New parents know what a nightmare it can be to travel with babies). We had an amazingly wonderful trip. I refused to leave my precious baby in a creche (I just couldn't bear the thought of someone else looking after him) and so I took up a job (teaching in a pre school) which was completely different from my field, just so that I could take him with me to work. He started accompanying me to school, from when he was one and a half years old. When he was about two, he fell down and he had to get six stitches at the back of his head, I was so distraught I could barely speak. I never knew till then, what helpless pain truly is. But he was a tough little fellow. He was finer than I was. Then I taught him to read using the Glen Doman method. At the age of three years and eight months he was reading Ladybird books like Princess and the Pea. He was even featured in a local TV program for early reading for children. At four and a half I taught him to ride a bicycle without trainer wheels. When he had his first fall, it was on a row of cactus plants. I had to rush him to my cousin who is a surgeon and he had to extract thousands of cacti thorns from his legs with a tweezer. I think I flinched each time a thorn was pulled out, more than he did. The years have flown by since then.Today he is almost as tall as me and he can lift me with ease! I squeal and tell him to put me down when he carries me and lifts me off the floor. Now he can talk to me at my level and we discuss a lot of things. We have such wonderful conversations. I tease him about girls and he teases me right back about my 'boyfriends'. We talk about Call of Duty-Black Ops and we talk about the cultural differences between UK and India. We discuss colleges and various courses offered. He asks me about what interests me and what I like and I ask him the same. He introduces me to 'cool music' like Pendulum and I tell him about GNR, Bryan Adams and Billy Joel. He tells me I am cool (the ultimate compliment for a mother!) and is very proud of me and shows off my book and my portraits to a few select friends. He has a wonderful sense of humour and he can really make me laugh.He also clicks great photos and even has a photo blog. I cannot help turning nostalgic and sentimental on the eve of his thirteenth birthday. Happy 13th birthday to my darling sonny boy. Wishing Atul a very very Happy Birthday!! May all his dreams come true!! God bless him!! oh wow.. happy birthday to him! Many Many Happy Returns of the Day Atul!!!! "Even if you are 26, you will still be my sonny boy :-)"
True! My son is 27 and he is both my 'sonny boy' and the young man I turn to for advice. Happy Birthday Atul !! Loads of love to you ! Happy Birthday, Atul! Have a great one! Happy Birthday, Atul!!!! Have a wonderful and fantastic year!!! He smiles exactly like you, Preeti!! happy birthday to the lovely kid God bless! lot of blessings going his way from asha aunty. Your love for your son shines through this post. Happy Birthday A. Ah; you are growing up too fast, but I bet in your mind, its not fast enough. Have a wonderful B'day and lots and lots of fun. 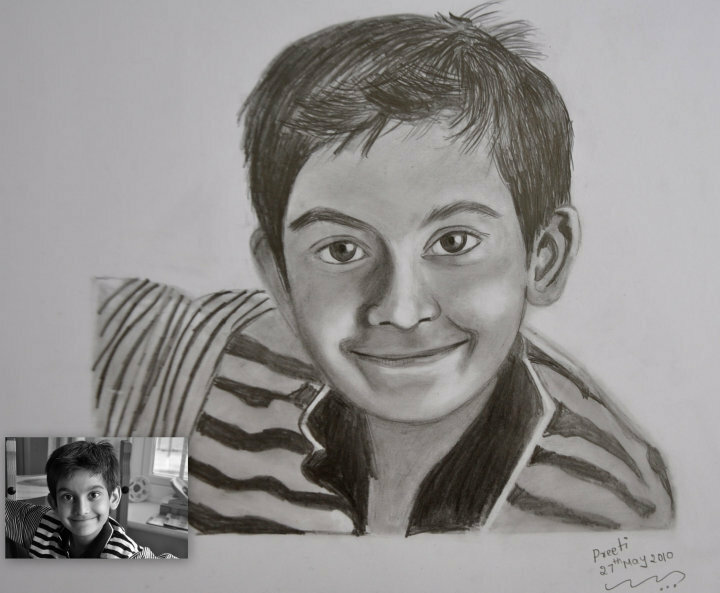 Happy Birthday to the TEENAGER ATUL. May Gods blessing showered on him always. As one of the Thirukural says... Magan thanthaikku aatrum uthavi ivan thanthai ennotraan kol enumn sol. Meaning... The best thing a Child can do to their parent is, to make the world to say....what a blessing and how much Tapas his parents had to have him as son. Aw I'm so sorry I'm late! 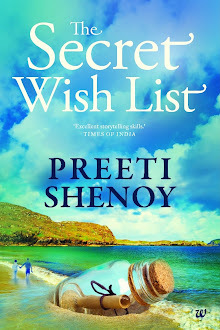 Wonderful post as usual, Preeti! hi, this is to enquire the adres of that rehab centre u mentioned in ur book coz i just read it, nd want to make it the topic for my grad. documentry, so plz, help me find the adres. 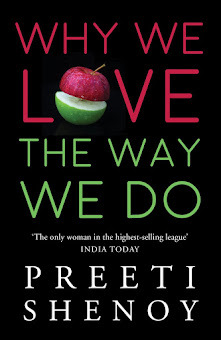 Hi Preeti..i read ur book recently..its amazing.. I njoyd reading ur blog also..
Jaya and codename: Have mailed you individually. Awww! Had a lump in my throat as I read this post! Belated wishes to Atul! Hope he had a wonderful birthday! The portrait is so nice!! And hope you "settling down in Bangalore" is going good! Congrats to you both and wishing him the very best for the years ahead! Hey I came a lil late here..
thanks to all who wished after my previous reply! He did have a nice birthday. excellent potrait. U have managed to capture his charm. Hi Preet, Heres wishing a belated happy birthday to your sonny boy! I am sure you guys had a wonderful day.